Last fall, we wrote about citizen initiatives to ban the use of traffic enforcement cameras in three small towns in Ohio and Texas. Now, the backlash has intensified, with the state of Arizona switching off its 76 cameras altogether last Friday, when its contract expired with the private operator who maintains them, issues tickets, and bills the drivers caught on camera speeding on state highways. 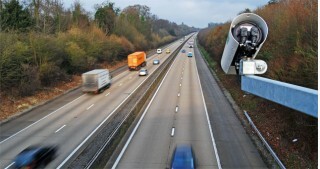 The state was the first to adopt camera enforcement for speeders, back in October 2008, but it banned them for two reasons: Infringement on individual privacy, and a belief that the operation was intended only to raise revenue, without independent, peer-reviewed data demonstrating their impact on road safety. While the camera system issued more than 1 million tickets, only about a third were ever paid, and the money collected was roughly one-third less than the projected $120 million promised by the operator, Redflex Traffic Systems. Almost 500 localities now use red-light cameras, which seem to evoke less negative reaction than speeding cameras, currently in less than 60 jurisdictions. 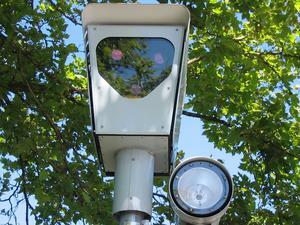 In some areas--New York state, for instance--public support for red-light cameras is strong. Red-light runners are most likely viewed as a far greater threat to other drivers and pedestrians than are the drivers who run a few miles an hour over the limit. 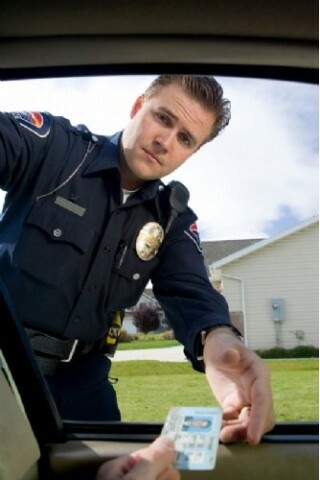 Fighting camera enforcement tickets in court is usually fruitless, with conviction rates over 98 percent--which has led irate drivers to some unusual protest tactics. One Phoenix Subaru driver wore a monkey mask while he or she racked up dozens of speeding tickets. But the cat-and-mouse game between speeders and the municipalities that target them for revenue (and road safety, don't forget that one) is likely to escalate. The latest wrinkle is ... wait for it ... satellite-based speed tracking. This cute furry primate is the first of its species to ever be photographed. 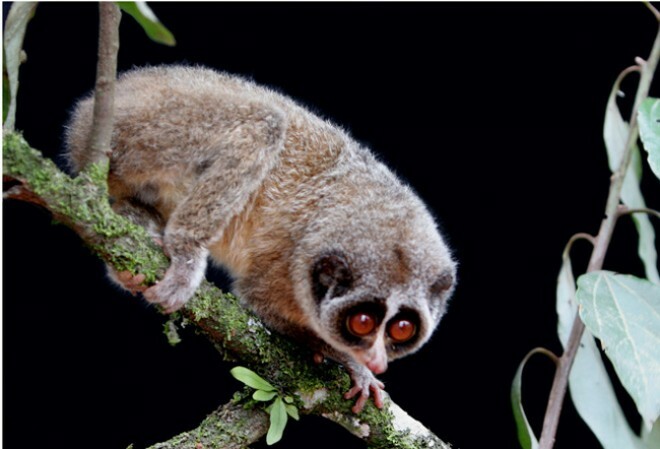 The Horton Plains slender loris (Loris tardigradus nycticeboides) was thought to be extinct. Between 1939 and 2002, no one spotted the animal. In 2002 someone reported a possible sighting, but didn’t get any pictures. The 2002 report inspired the Zoological Society of London and a team of Sri Lankan researchers to launch an effort to find the 8-inch-long primate. After 200 hours of searching, they captured the first ever pictures of the creature, which were released Monday. The Horton Plains slender loris is a subspecies of the red slender loris. It is classified as endangered on the IUCN Red List. Image: AP Photo/Zoological Society of London/Ho. Archaeologists excavating in the Guatamalan jungle have discovered a royal tomb, filled with colourful 1,600-year-old Mayan artefacts, beneath the El Diablo pyramid. The well preserved tomb is packed with carvings, ceramics, textiles, and the bones of six children, possibly the remains of a human sacrifice. The archaeological team, led by Stephen Houston, professor of anthropology at Brown University, uncovered the tomb beneath the El Diablo pyramid in the city of El Zots, Guatamala in May. Last week, the discovery of the tomb, dated to between 350 and 400AD, was made public. 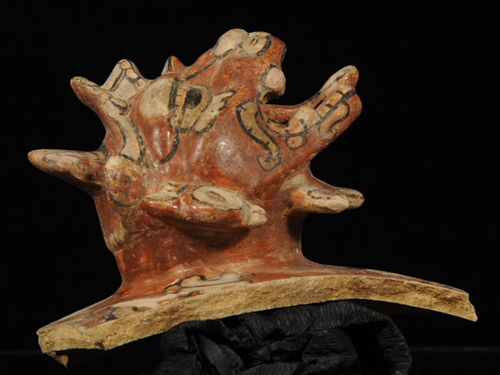 Houston said the first pointer to the discovery was “something odd” in the deposit the team was digging, at a small temple built in front of a sprawling structure dedicated to the sun god, an emblem of Maya rulership. Then, on May 29th 2010, Houston was with a worker who came to a final earthen layer. They lowered a bare light bulb into the hole, and suddenly Houston saw “an explosion of color in all directions - reds, greens, yellows.” It was a royal tomb filled with organics Houston says he’d never seen before: pieces of wood, textiles, thin layers of painted stucco and cord. It appears the tomb held an adult male, who was between 50 and 60 he died from natural causes, but the team's bone analyst, Andrew Scherer, assistant professor of anthropology at Brown, has not yet confirmed the finding. And who was this man buried with such a wealth? Though the findings are still very new, the group believes the tomb is likely from a ruler they only know about from hieroglyphic texts. The blade was probably used for cutting and grinding through bone or some other hard material, and its surface seems to be covered with red organic residue. Though the substance still needs to be tested, “it doesn’t take too much imagination to think that this is blood,” Houston said. So far, it seems likely that there are six children in the tomb, some with whole bodies and probably two solely with skulls. The children - ranging in age from 1 to 5 - were "probably sacrificed" in honour of the ruler. The ancient Maya kingdom of El Zotz is located within a day's walk (about 20kms) from Tikal, the capital of one of the largest and most powerful kingdoms of the ancient Maya. Yet, El Zotz flourished in the midst of the 1st millennium AD - after Tikal was defeated by Caracol (Belize) and Calakmul (Mexico). It is likely that El Zotz allied with Tikal's enemies and that relations between the two cities were hostile. 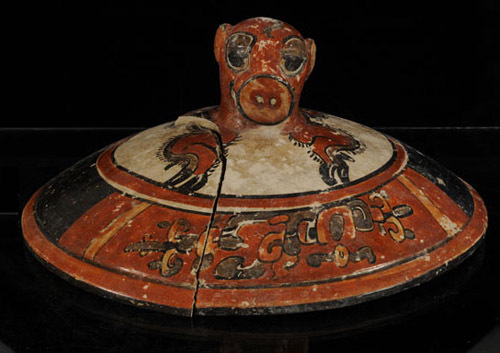 According to a text found at Tikal, in the 8th century AD, El Zotz was engaged in battle against Tikal, and the last known hieroglyphic inscription to refer to El Zotz describes the city as being the target of an attack by Tikal. Al Yeganeh's soup store in midtown Manhattan returns Tuesday after a six-year absence. New York (CNN) -- Get in line, have your money ready and move to your extreme left -- Al Yeganeh, "the Original SoupMan," is back and re-opening his famed soup store Tuesday in midtown Manhattan. Yeganeh and his Soup Kitchen International first rose to fame after he was caricatured in the long-running NBC TV show "Seinfeld" as the "Soup Nazi," a cranky and demanding soup-stand cook who bellowed "No soup for you!" to customers who didn't follow his strict rules for ordering. Yeganeh, who first opened his shop in 1984, closed the store six years ago, but kept the lease to pursue franchise opportunities and a line of frozen soups with the Original SoupMan brand. 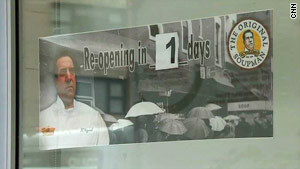 Chef Dan Rubano, who mentored with Yeganeh, was at the store a day before its re-opening, helping to set things up. "We are keeping the original recipes and adding more to the menu," Rubano said. Rubano didn't know whether Yeganeh would stop by for opening day, but said he's expected to make sporadic appearances. According to the "Seinfeld" Web site, Yeganeh was at first unhappy with the publicity from the "Soup Nazi" episode and was quoted as saying he threatened to "smack" comedian Jerry Seinfeld's face. Seinfeld, whose title character was banned during the "Soup Nazi" episode, declined to comment on the store's reopening. npr.org — The Neolithic period, which began about 12,000 years ago, is thought to be about the time when humans started settling down, raising crops — and apparently getting a little tipsy. On Friday, the very last Chrysler PT Cruiser rolled off the assembly line in Mexico. To say that the last PT Cruiser marked the end of an icon would be a total understatement. The retro model’s life began a decade ago and was an instant hit, helping Chrysler rack up sales as high as 144,717 units in 2001 alone. A decade later, the PT Cruiser is very much a like a time capsule; having undergone only minor changes since its introduction, it has become a relic of everything that went wrong with Chrysler. Amid the bland Honda Civics and the conservative Toyota Camrys that dominated the compact and midsize sedan segments, Chrysler became a trendsetter with the launch of the PT Cruiser. The Cruiser’s flared fenders, sloping hood, and five-door body style mimicked the old sedans and panel trucks of the 1930s and 1940s. Its distinctive look even inspired a slew of other "retro" styled creations. But the eye-catching PT Cruiser and its immediate success didn’t just lead to imitators such as the Chevrolet HHR, instead it arguably spawned an entire movement of retro vehicles, like the latest generation Ford Mustang and Chevrolet Camaro. Although the Chrysler PT Cruiser did appeal to an older demographic that remembered the vehicles from which the Cruiser’s styling was essentially borrowing from, its success was attributed to the fact that consumers of every demographic, young and old, seemed to be mesmerized by the car. Aside from its looks, the PT Cruiser was also roomy, versatile, and affordable, which helped make this car a great all-around value. The initial success of the PT Cruiser was staggering, and many dealers were perpetually running out inventory. Over the years Chrysler decided to offer consumers more choices, eventually adding a convertible, with some new paint colors to choose from. Concepts of two-door and panel van versions were also built, but never reached production. Unfortunately for the PT Cruiser, few other significant changes were introduced as the years went on. No major redesign or styling update was done, which caused the once trendsetting Cruiser to become dated and tired. Sales began to reflect that it was simply falling behind the times. 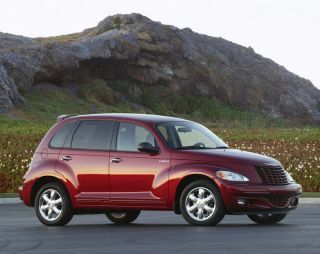 From its high of 144,717 in 2001, the PT Cruiser sold just over 50,000 in 2008, and only 17,941 last year. As the car withered away from abandonment, Chrysler was also struggling with larger problems. Resources began to dry up and product life-cycles lengthened. Eventually, the automaker’s troubled nine-year partnership with Daimler AG ended and in 2007 Chrysler was sold to private equity firm Cerberus Capital Management. With new ownership, the outlook at Chrysler didn’t improve much and the company fell into bankruptcy last year. After Chrysler emerged from bankruptcy, Italian automaker Fiat Group SpA took the helm of the company and vowed to revamp Chrysler aging lineup; much of which had been criticized for dismal quality and poor efficiency. Because the PT Cruiser was so quintessentially American, it never stood a chance for substantial sales outside of the U.S. These days, due to economic constraints, automakers like Ford are building more global products, such as the Fiesta, which are designed to appeal to as many markets possible, and not just a select few. With Chrysler producing so many PT Cruisers over the years - without any major redesign - the car became old just as quickly as it became a sensation. As it aged rather ungracefully sales steadily dwindled to a low of just 4,917 units this year through the end of June. Despite the ill-fated position the PT Cruiser found itself in, it did prove to be a sales powerhouse for Chrysler - at least for a while. For those that still have an affinity for the beleaguered Detroit automaker, let’s hope that the meteoric rise and catastrophic fall of the PT Cruiser serves as a valuable lesson for Chrysler and for the upcoming 500. N-3D DEMO from aircord on Vimeo. Screw video conferencing. Toss out those 3-D glasses. We just got one step closer to making portable holographic videos a reality (something we’ve all been waiting for ever since the first Star Wars flick came out back in 1977). This new demo from Japan-based creative team Aircord labo uses nothing more than a glass prism (with “special film”), a projector, and an iPad to create a 3-D display that runs on OpenFrameworks and MaxMSP (you can download the program files here). Think that’s pretty badass? So do we. But wait, there’s more! With an installed application, the program can also respond to sound, making the 3-D holovid display interactive. The simplicity and accessibility of this design is what makes it most exciting to us. We can’t wait to see what happens when the OpenFrameworks community takes hold of this thing and takes it for a joy ride. How long do you think it’ll be before holovids are on the iPhone? We give it 5 years. With some of the most disturbing and tragic histories of any buildings in the US, asylums and hospitals are way beyond creepy. Many of them were built in the late 1800s, when “mental illnesses” (such as masturbation, menopause, and teenage rebellion) were considered dangerous enough to lock someone in an asylum. A pain-inflicting misunderstanding of mental illness combined with a chronic mistreatment of its sufferers meant that many people were never released and spent the remainder of their lives in these horrible institutions. Although these hospitals were created to care for the poor and very sick, they often utilized radical treatments that were incredibly painful yet ineffective, creating even more suffering for the inflicted. In addition, medical outbreaks led to the the quarantine of these specialized hospitals from the rest of the urban population. After decades of overcrowding in these hospitals, the invention of antibiotics and behavioral drugs, and an evolving understanding of mental illness rendered these massive compounds obsolete. Although most have been torn down, a few still remain standing. Abandoned for years – even decades – these remaining sanatoriums and asylums are deteriorating, rotting, and are reportedly haunted. Although these spots may be spine-chillingly eerie and seem rife for exploration, be forewarned. Many of these buildings have yet to be torn down because they contain loads of asbestos, and as their condition deteriorates, this toxic insulation is being exposed. Due to wannabe explorers, local law enforcement monitors these buildings heavily, since they are mostly on state-owned land. If you decide the risk is worth the reward, we didn’t send ya. During the 1920s and 1930s, segregated hospitals and paltry health care left Maryland’s African American population four times more likely than whites to contract deadly tuberculosis. With the disease running rampant in the African American community, this massive complex was opened in 1922 to serve the under-represented and very sick population, and was named the Henryton Tuberculosis Sanatorium. In 1963, with the decline of TB, the hospital became the Henryton State Hospital, charged with treating severely and profoundly mentally handicapped patients. Since the original building was not constructed to confine patients and had almost no security or confined enclosures, it could only house those that would, or could, not leave the property. Given the trend of placing non-violent mental patients in homes and taking them out of large institutions, the Henryton State Hospital had fewer and fewer patients until it finally closed in 1985. Since Henryton’s closure, the hospital has become the place to see and be seen for drug addicts, drifters, arsonists, and people who love to break things. Given the hospital’s massive size, relatively rural location, and the large number of years since being abandoned, its current “residents” have given it a pretty nasty reputation. In addition, an intentionally set fire in 2007 burned down a major section of the hospital. Urban explorers be careful! This abandoned hospital’s tenants are definitely more dangerous than those that lived there when it was a mental institution. Opened in 1876 with the infamous name “New Jersey State Lunatic Asylum”, this hospital was constructed to relieve the immense overpopulation of New Jersey’s only other mental health hospital in Treton. Built on over 700 acres, the first asylum building were capable of housing 600 patients, but were already significantly over-capacity only 4 years later with 800 residents. As the years went by, the hospital became increasingly overcrowded, even with the construction of new buildings. In 1914, 2,412 patients were squeezed into hospital, which then had a maximum capacity of 1,600. After World War II, the situation worsened. An influx of soldiers returning from the war with PTSD ended up at the Asylum, as the hospital (which had been renamed Greystone Park Psychiatric Hospital) was one of the only facilities capable of treating the returning men. Insulin shock therapy and electroconculsive therapy was administered to the Vets, and in 1953 the hospital had 7,674 patients packed into its facilities. Greystone hosted one very unexpected resident and another famous visitor. In 1961 Bob Dylan came all the way from Minnesota to visit his idol Woody Guthrie, who was living in Greystone asylum, suffering from the late stages of Huntington’s Disease. This degenerative illness slowly attacks the nervous system and brain, and almost nothing was known about the disease at the time. Sadly, as Guthrie’s mental and physical state began to deteriorate, it was assumed he was either a drunk or had Schizophrenia, and he was placed in the institution for treatment. Today, only a few of the 30 buildings on the grounds are currently occupied, and the rest have been left in total disrepair. Since parts of the hospital are still in use, urban explorers should be cautious when exploring the grounds, since there have been reports of high security. Originally established in 1904 as a hospital for Santa Fe railroad workers and their families, the Santa Fe Railroad Hospital was located in a sought after neighborhood and meticulously maintained. By 1937, the hospital had expanded and become the Linda Vista Community Hospital and started accepting all types of patients. Though the Boyle Heights neighborhood in East LA, where the hospital stands, was once a wealthy part of town, the Great Depression took its toll and the area began to fall out of favor. Fast forward to the 1970s and ’80s, and Linda Vista had crumbled into complete disrepair. Almost all of the facility’s patients were victims of gang violence like gunshot wounds and stabbings, and most didn’t have health care. With paltry financial support from the state, the quality of care offered at Linda Vista became deplorable, and in 1991 the hospital shut down due to unusually high death rates and accusations of mistreatment and abuse. Although most other hospitals like this were torn down or became overrun with vandals and arsonists, Linda Vista had the ‘good fortune’ of being built in Hollywood. Instead of being demolished or left for the taking, Linda Vista is now the scene for hundreds of Hollywood movie and TV shoots. Parts of “Outbreak”, “End of Days”, “Pearl Harbor” and the pilot episode of ER were filmed there. With such a tragic history and plenty of people coming in and out, it’s a relatively safe and exceptionally interesting spot for urban explorers. One of the most bizarre rooms rife for exploring is the hospital’s filling room, which one urban explorer reported is overflowing with years and years of medical records. Work began on the Trans-Allegheny Lunatic Asylum at the end of 1858. Constructed by prison laborers, building was interrupted when the Civil War broke out in 1861. Although the money allocated for finishing the asylum was stolen and used for war efforts, the hospital was completed with funds from the newly reorganized US government and it accepted its first patients in 1864. The hospital was designed to be completely self-contained: it had a dairy and farm, a cemetery, and water system. It was also a segregated hospital, with separate facilities for blacks and whites. Like most asylums of the era, it became horrendously overcrowded soon after opening. Designed to house 250 patients, 717 patients lived there by 1880 – and things only got worse. By 1938, there were 1,661 registered residents and by 1949 the asylum was home to a ghastly 2,400 people. One of its most famous patients? Charles Manson spent time in this facility during the height of its over population. Although the staff must have been terribly overworked, the administration wasn’t innocent – documented acts of torture by the wardens read like a horror movie. Rudimentary full frontal lobotomies were performed with ice picks, patients were placed in solitary confinement for weeks upon weeks, vicious inmates were left to terrorize other patients, and tens of thousands died over the years, many from unnatural causes, buried in mass graves in the hospital’s cemetery. By 1994 the asylum was in such horrific condition that it was deemed completely uninhabitable and closed for good. In 1999, the hospital was home to a policeman’s paintball league – the cops were subsequently fired from their positions. The property was purchased in 2007 by a local contractor, Joe Jordan. He paid 1.5 million for the 242,000 square foot building and has begun fixing up the grounds, capitalizing on the hospital’s terrifying past. He offers ghost tours, including an overnight stay on Saturday nights! Perfect for urban explorers who like to explore, legally. Built 20 years after Greystone in response to the issues there, Overbrook Insane Asylum was supposed to offer relief for hundreds of patients who had been suffering at the hands of overcrowding and abuse. Unfortunately, Overbrook could not offer the kind of care it promised. Since the asylum was self-contained, with its own power plant, farms, and bakery, it had limited contact with the outside world. So in 1917, when the asylums boiler broke down, the hospital was without heat for an astonishing 20 days. During that time, 24 patients died, freezing to death in their own beds. Like many similar institutions, once WWII vets returned from the war, the influx of PTSD patients into the asylum was overwhelming. The institution was completely unequipped to treat so many sick people, and suicides, starvation, horrendous neglect, and escapes were reported. With improvements in psychiatric medicine, most of the patients were transferred out of the hospital in the ’80s and ’90s and it was officially closed in 2006. After being featured on multiple urban exploration websites, the popularity of this spot has skyrocketed. In response, the Essex County Sheriff’s Office has issued a warning saying they are monitoring the grounds carefully and will arrest anyone “trespassing”. Although the law has spoken, the eerie beauty of this place is irresistible. Although a vaccine for smallpox did exist in 1856, New York’s steady stream of unvaccinated immigrants lead to a hellish outbreak of the disease. Given how contagious the disease is, New York needed an isolated place to house, and hopefully treat, the masses of people infected. Blackwell Island (now Roosevelt Island) was picked. Located in the East River between Manhattan and Queens, the narrow island provided a perfect location for the new hospital since it was isolated from the rest of New York but easily accessible by ferry. James Renwick, a favorite New York architect who also designed Grace Church and St. Patrick’s Cathedral, was commissioned to design the building. The hospital accepted charity patients which they housed in communal rooms on the first floor as well as paying patients who had private rooms on the floors above. During the epidemic the hospital was full to capacity, but as the epidemic waned the hospital was no longer necessary and the building was turned into a nurse training college in 1886. By 1950 the nursing school had shut down, and the once grand building was left completely to ruin – which is pretty much exactly how it stands today. With no roof, inside walls, or floors, Renwick Smallpox hospital has been left to deteriorate for the past 50 plus years. While what’s left of the building has been declared a national historic monument, it wasn’t until 2009 that money was set aside to stabilize the condition of the hospital and allow it to open for public tours. This hospital was built on one of the main streets in Liberty, Texas, though there is almost no public information about who built it and when. After serving as a Catholic hospital for many years, the building was converted into a nursing home. In the 1980s the hospital was fully abandoned and has been sitting empty and rotting for the past 30 years. Have any more information on this intriguing spot? Let us know! This massive hospital compound was built in 1885 on what is now Long Island (but was then called Kings Park) and attempted to offer mentally ill patients an oasis from the stress of Manhattan. When it was built, Kings Park Psychiatric Center was intended to revolutionize psychiatric care. Instead of massive institutions, this hospital was built as a “Farm Colony”; treatment involved sick patients working on a self-sustaining farm. Although this philosophy worked on the small scale, as the institution became terribly overcrowded in the 1930s, a decidedly un-farmy hospital building was constructed. Named “Building 93″, this gigantic new wing was 13 stories high and towered ominously above the other structures. Even though the new Building 93 was huge, it was barely enough….by 1954 the population at Kings Park had soared to 9,303. With the discovery of new mental illness drugs, the population at Kings Park slowly declined until the last patient left through its doors in 1996. Today, much of the grounds have been turned into parkland and the train tracks that used to bring patients and staff to the hospital are now hiking trails. But building 93 still remains as a brutal reminder of what this park used to be. Lucky for the adventurous, it’s open for exploration! Opened in 1910, this hospital accommodated the growing number of tuberculosis patients in Jefferson County, Kentucky. The original structure had a 50 person capacity, but by 1924 there were over 140 people living in the sanatorium. In an attempt to house even more victims of the TB epidemic, a massive, Gothic hospital was built in 1926 on the top of Waverly Hill where the old hospital used to stand. Although at the time it was considered one of the most advanced treatment centers, the procedures used there to “cure” patients seem torturous by today’s standards. It was believed fresh air was good for curing TB, so ill patients were forced to spend all their time outside, even sleeping in open “sun rooms” in the middle of winter. The conditions were so extreme, electric blankets were invented to alleviate some of the suffering for this kind of “treatment”. In addition, doctors experimented with painful procedures including partially collapsing patients’ lungs, removing sections of infected lungs, and surgically removing up to 8 ribs of very sick patients, which was done two at a time. Even with all the “advanced” medicine practiced here, over 66,000 patients died during their stay. Since the doctors didn’t want living patients to have to see to bodies of those who had lost their fight with the disease, a “body chute” was installed for a quick transportation of dead bodies from the ward, to a waiting cart in underground tunnels, to the graveyard. With the discovery of antibiotics, the need for the hospital diminished and, after passing through multiple hands, it was sold in 2001 to a couple who are attempting to restore the sanatorium and currently hold ghost tours in the hospital to fund the restoration. Again, urban explorers who like to do it the legal way, this one’s for you! Built in 1874, this hospital attempted to house the large Civil War veteran population suffering from PTSD. The Athens Lunatic Asylum was built with the philosophy of Dr. Thomas Story Kirkbride in mind, who believed in designing asylums in the shape of real houses to bring familiar comfort to its patients. Although the intentions for a fine institution were sound, as the patient population grew from 200 to 2000 in the early 1900s, proper care wasn’t remotely feasible. In an attempt to make its massive mentally ill population more manageable, lobotomies were regularly performed in the ’50s. Dr. Walter Jackson Freeman, Ph.D., aka “The Father of the Transorbital Lobotomy”, performed over 200 lobotomies alone. Today, some of the buildings of this hospital compound are in public use, but many others have been left to decay. Reportedly, one of the most interesting structures for urban explorers is the asylum’s TB wing. Byberry has one of the most tragic histories of any mental hospital on our list. Constructed in 1906 as a small work farm, the institution was soon inundated with patients, many of whom had been kicked out of their respective hospitals and sent to Byberry as a last resort. With patients ranging from mentally challenged to criminally insane, the hospital could not deal with the huge spike in sick patients coming through their doors daily. Most of those admitted were never well enough to leave, and stayed for the remainder of their lifetimes. Even after three decades of reports of horrendous abuse and extremely unsanitary conditions, the state authorities did nothing to fix the systematic problems at Byberry. It wasn’t until Charlie Lord, a young conscientious objector to WWII and a Quaker, was sent as punishment to work as an orderly at Byberry that the outside world was given a glimpse of what life was like there. Lord was appalled at the conditions he saw; most patients were naked and huddled together in barren concrete rooms, defecating on the floor, with no mental stimulation or humane treatment of any sort. Unable to convince reporters of what he saw, Lord snuck a Agfa camera into the hospital and took three roles of 36 exposure film, capturing some unbelievable scenes. One of the first people who saw the images was Eleanor Roosevelt, who vowed to end the horrors at Byberry. Lord’s photos were published in the May 1946 edition of Life magazine and single handedly helped bring about reform to mental health institutions across the country. The horrors of Byberry continued for many years. After failing inspection after inspection through the 1980s, stories continued to emerge about patient abuse, including one who claims he was shackled to his bed for 14 months straight. Another claimed that a female patient was murdered by another patient, who dismembered her body and hid it around the hospital. The killer escaped and was never found.